Below are some common questions and answers about United Way of South Central Nebraska. Don’t see your question? Please feel free to contact us! What is the United Way? United Way of South Central Nebraska is a non-profit organization, which invests contributions in programs throughout Adams, Clay, Nuckolls, and Webster counties. United Way strives to improve the lives of local residents by raising funds through an annual fundraising campaign. Your United Way is governed by a local volunteer board of directors who ensure the organization is run efficiently and effectively. 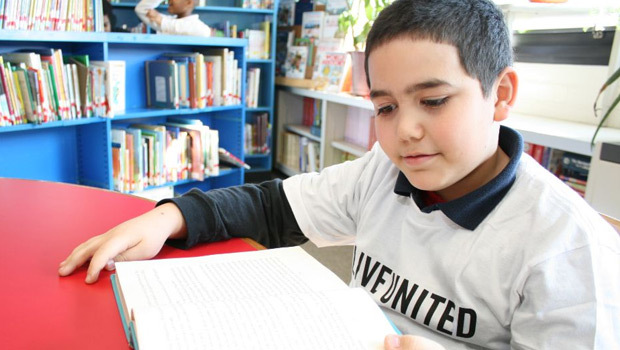 Why should I invest in the United Way? Making a gift to the United Way is the most effective way to help our whole community. When you give to the United Way, your gift combines with other gifts to multiply your impact on a wider variety of programs than a contribution to one singular program. These programs depend on the United Way for support in order to continue operating. Who decides how my United Way contribution is used? A local board of directors is comprised of a diverse group of individuals. After meeting and reviewing each of the agency’s program requests, the committee bases their decisions upon the agencies budgetary needs and the programs that best utilize United Way donations. These reviews are essential to avoid duplication of services. What does United Way do besides raise money? United Way works closely with service providers, community members, and other resources to identify Health and Human Service issues in our area and develop plans to address them. United Way staff meets regularly with several other groups in the community to network and share resources with one another. United Way provides the area with the Born Learning information and provides the people in the community access to the “Familywize” prescription drug cards to help defray costs to families with no prescription insurance coverage. United Way also works to bring additional funding through work of grants and other collaborative efforts. Why does the United Way have administrative costs? United Way’s administrative costs pay for raising and distributing the money, working with the United Way agencies, and providing input and leadership for healthier communities. The National Charities Bureau has determined that up to 40% overhead is acceptable for a national giving standard; however, the percent used by your local United Way is only half of that national standard. Do local dollars go to United Way Worldwide (national organization)? Less than one cent of every dollar raised is used for the United Way service fee, which provides us with use of the United Way Trademark, training for staff and volunteers, national publicity, campaign materials, and program and service data. These services are essential to effective operation of United Way. Contributions raised in our four county area stay here and the decisions made about which programs to invest in and which partnerships to pursue are made here in our local community. Are United Ways related? There are 1,300 community based United Ways across the country and each is separately incorporated and independently governed by local volunteers. Many of these are similar in their mission and structure, but some are very different.